Phil Peters is Managing Director of a fast-growing e-commerce business aiming to revolutionise the Chinese food delivery market. Phil (OE 1997–2004) leads a team working to ensure London-based Zing Zing the “best Chinese takeout in the world”. Zing Zing, which was launched in 2013, sets itself apart by using only the freshest ingredients – and no monosodium glutamate! 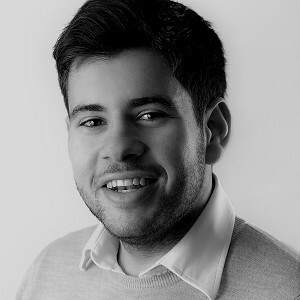 He read Political Science and Philosophy at Birmingham and then worked for BBYO – the world’s largest Jewish youth organisation – before going into management consultancy, training first at PricewaterhouseCoopers and then working at i2a Consulting. In 2014, he joined Tesco.com’s Customer Fulfilment Team in 2014 to look after various aspects of UK, and then, international online delivery. Two years later, Phil was appointed as Zing Zing’s Operations Director, becoming MD a year after that. He worked on delivering an ambitious roll-out plan that has already seen the business grow from two sites to six since his arrival, which followed shortly after record-breaking Crowdcube fundraising. 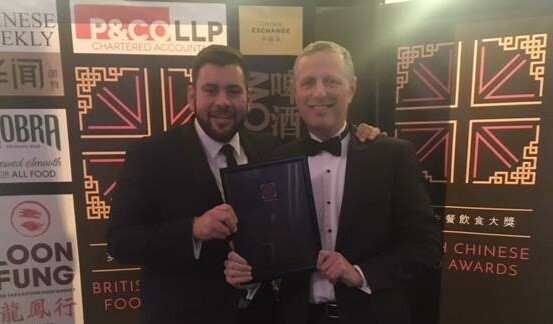 He is pictured above with his colleague, joint Zing Zing founder Mark Schlagman, at the British Chinese Food Awards last year, where the company won the title of Best UK Chinese Takeaway. With his breadth of experience in the professional services and start-up world, Phil was among the many Old Elizabethan volunteers contributing to QE’s recent Careers Convention for Year 11 boys and their parents, where he enjoyed talking to pupils interested in careers beyond the ‘traditional’ options available to them.